Success. What an interesting concept. A simple word that means something different to different people at different times. As an example, I just finished stacking a cord of wood. I was pretty happy when it was done. Went from an unruly pile of wood in the middle of the driveway to a neatly stacked pile of wood in the corner. This isn’t something I do very often. Given that the Maryland winters aren’t generally very harsh (lets forget about the blizzard a few years back, PLEASE! ), stacking wood isn’t something I do all that often. Still, there was that feeling of success when I was done. I’d accomplished my goal. Was nice to see it done. Success in life, particularly in the corporate world isn’t always as simple to measure. A friend of mine posted a link to an interesting Forbes magazine article written by Steve Denning about the things that make companies compete. Its about why big companies often fail. The premise (referencing Apple’s success under Steve Jobs) is that many companies fall prey to short term financial (cost containment by the finance people or revenue acquisition by the sales pros) and forget about developing new products for future success. In fact, these organizations are doing their level best to contain the risk of failure, and may very well be encouraging the failures they seek to avoid. Setting aside the fact that my career has been largely spent on worrying about building and supporting products, this got me thinking about what motivates people and finding the secret sauce that leads to sustained (at least for a while) success of companies like Apple. Not a simple matter! There are very clearly different types of success. Short term, immediate success, while challenging is relatively easy to achieve. Figure out what you want to accomplish, how to go about it, and assuming that you have the skills and resources, have at it. The type of success that Denning (and Jobs) argue for is a sustainable success. Doing that requires an interesting combination of successes, with none trumping the others. 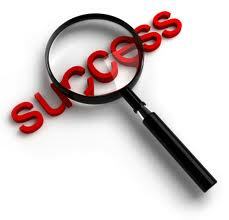 The success that they argue for is one in which companies allow themselves to create a continuous stream of success. That is not a trivial matter. Very few companies live forever, let alone technology companies sustaining more than a decade or so of stability and growth. Many business texts have been written about how organizations can be built for the long haul. Leadership pipelines, planning, etc. One of the main points of the article is that companies all too often find themselves shifting from their initial successes associated with compelling products into modes where they worry more about driving revenues and/or containing costs. Both a focus on sales and fiscal responsibility are no doubt responsibilities, however if associated with a decline in attention to the products that bred the success can (and generally will) lead to a decline in future success. Attention must continue on all fronts. Success is born out of doing the important things well. Thank goodness that life brings opportunities for individual success and little things. Like stepping back & looking at a cord of wood no longer cluttering the driveway. This entry was posted in Competition, Innovation, management, Product Management, Uncategorized and tagged balance, business development, Creativity, leadership, product development, Risk Taking, success. Bookmark the permalink. Thanks very much for the kind words. I agree that there’s a great deal to be said about setting and maintaining focus. That’s very much at the core of many of the processes and strategies that I’ve used (and seen used) for success. The thing that I find intruiging here is that, while those short term successes are important, they can’t stand alone. There’s a different perspective that needs to be established to ensure that the focus is on the right targets. That comes from an interesting combination of insight, intuition, hard work (another thing to focus on) in picking the targets. Ready, aim, shoot, is a good sequence. I worry that many places engage in ready (maybe), shoot, aim, and then wonder what it was that they hit. In the example I reference, companies will sometimes overly focus on cost containment & revenue & neglect products to support the next years (or whatever’s) cycle. There’s also a risk of not paying enough attention to one’s finances & sales (which has been the death of many technology driven organizations, its just a faster death). Again, many thanks for your comments & all the best!